The Employee Provident Fund (EPF) is one of the most important parts during the tenure of one’s job. Basically, it is a saving scheme developed by the Employees’ Provident Fund Organization (EPFO) that has been created as a retirement fund for the employees. It was established under the Employees’ Provident Funds and Miscellaneous Provisions Act in 1952. Earlier, EPF was for the industrial worker only which was later extended to all salaried employees. As per the Employees’ Provident Funds and Miscellaneous Provisions Act, organisations having over 20 employees are required to register themselves to the EPF and make a monthly contribution to it. The aim of the EPF is to provide help to the employees after their retirement, which is likely to become a source of income for them. Therefore, it is necessary that this fund should be accumulated on time. However, there are several cases that allow the employees to withdraw their amount before their retirement. Because many times it has been noticed that employees are worried about the PF balance whether it is depositing in their account or not, many times people want to withdraw their amount. 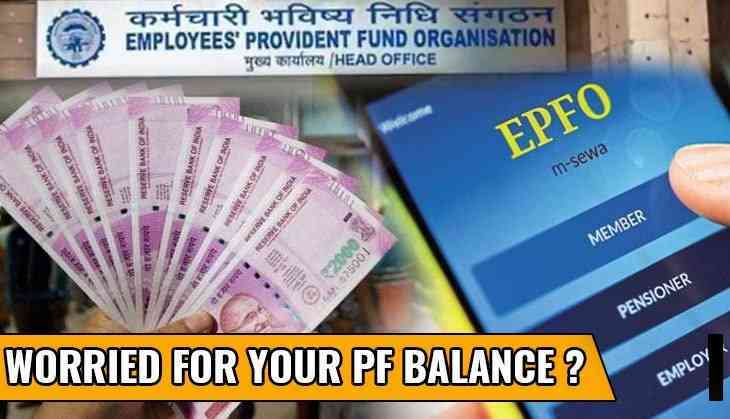 If you are also planning to withdraw your PF balance, then EPFO has released a new way through which an employee can withdraw his/her PF amount via online mode. However, there is a process for the transaction of the PF amount that should be followed which will take 3 to 4 days. To get the amount, it is necessary that one should have done the KYC of its PF account. EPFO has released a Universal account number for the PF account holders. Employees' mobile number should be registered in the UAN database. Member’s Aadhaar should be on uploaded on the EPFO official website. Bank account details of a member should also be registered. PAN card details should also be present in the EPFO database. A member should visit the EPFO official portal at https:unifiedportal-mem.epfindia.gov.in and will have to log in to the account. After the login, a member will have to click on the Aadhaar based Online claim submission tab. Then, one will have to verify their KYC details. Also, a member can also select several options to claim the withdrawal.